The Gwich’in are the northernmost Indian Nation living in fifteen small villages scattered across a vast area extending from northeast Alaska in the U.S. to the northern Yukon and Northwest Territories in Canada. 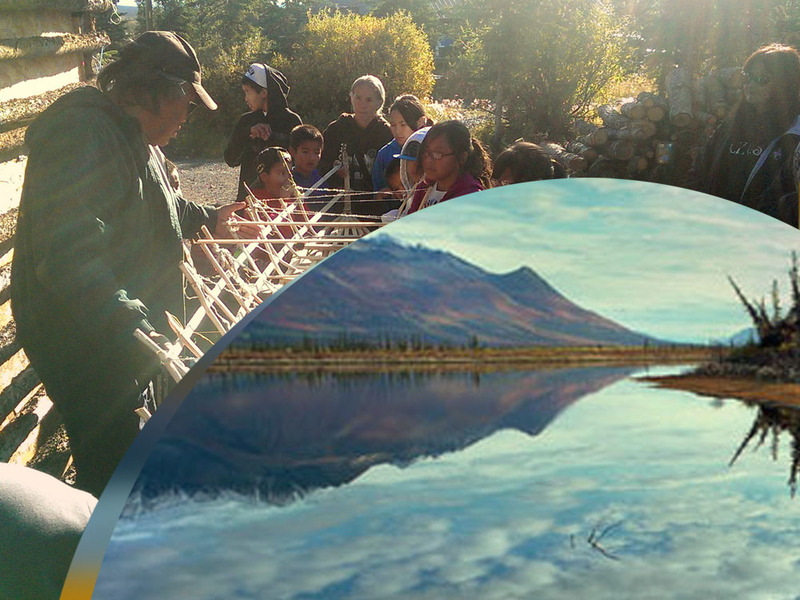 The Arctic Village Council has received funding from the Sacred Fire Foundation in the past for this same initiative. The purpose of the Youth Leadership Camp is to help raise self-esteem and leadership skills of Gwich’in youth through Indigenous Environmental Education, cultural activities, and focused discussion on issues directly affecting the Gwich’in community as well as strengthening their language and traditions. The funding that the Sacred Fire Foundation has given will go to support the building of a caribou skin boat, traditional spears and a caribou fence. These tools that the youth will make will not only teach them the theme of the camp this year, which is collaboration, but also teach them to learn how to treat land and animals with respect as their ancestors did.